SEEN is an experiment, a limited-run expansion of Vulture's coverage of the art world, all around the world. To find Signal gallery in Bushwick, it helped to know it was there, behind a door with an easy-to-miss sign, in a squat red-brick building a skip away from the Montrose L stop, wedged between an ironworks and a granite supplier, with screeching metal being soldered next door and flatbeds rumbling by with their early morning supply loads. 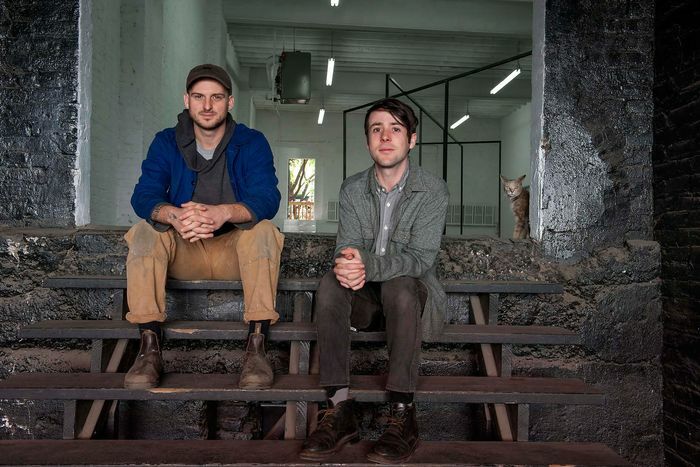 Signal was started in 2012 by Alexander Johns and Kyle Jacques, two then-20-something artists, who rented the 16-foot-tall, 3,000-square-foot space as their studio before turning it into a project space for their friends. 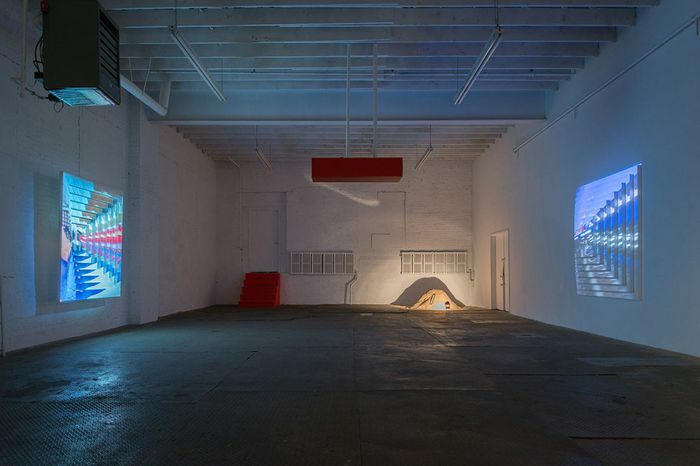 There was still a spirit of possibility: The neighborhood had not yet been colonized by real-estate developers, the Bushwick Open Studios jamboree wasn’t yet on tourist itineraries, and ambitious galleries, like Clearing, had opened nearby. Signal was part of that, infused with the same spirit of risk-taking and improvisation that suffused much of the Brooklyn neighborhood then. And when they closed on November 2, it felt like the coda to one of the city’s dwindling promises, that dedicating yourself to a good idea could be enough to make it. Signal’s size was the sort of footprint in the city for which one pays dearly, but which Johns and Jacques managed to swing on the cheap, mostly because it was such a wreck (it had previously been used as a rug warehouse), but because they decided they would also make it their home — something they were somewhat discreet about. Each had their own studio practice, but Johns and Jacques felt they would be happier shepherding the visions of the other artists they knew. They found themselves going to a lot of openings. “All it takes is a big white room with something good in it? I mean, it wasn’t that easy, but in a way, it was,” says Jacques. “May 1 we moved in and June 1 the first show opened.” It was Bennet Schlesinger’s Altas, blue-painted wood beams canted against the wall. It’s the kind of blind faith that now feels either inspiringly optimistic or alarmingly inadvisable but which then could be considered reasonable. Six years is not exactly distant history, but in New York it counts as a previous epoch, a moment in the city when two guys with little institutional experience and even less money could make a go of it. Johns attended film school and had a video art practice, had worked as an assistant to the artists Shannon Ebner and James Welling, and was writing grant proposals for a public art nonprofit. Even as the gallery was open, he kept working for Gregory R. Miller and Co., a publisher of art monographs. Jacques, who was a painter, had “accidentally interned” at Martos Gallery for three of its early months. Still they were wet behind the ears. “When we rolled in here I didn’t understand what a price list should look like, what a press release should read as,” says Jacques. At the time there was buzz around an emerging landscape of galleries in the neighborhood — although Johns and Jacques lament that the Soho-like flowering of a commercial art scene prophesied by the New York Times and countless others never really materialized. 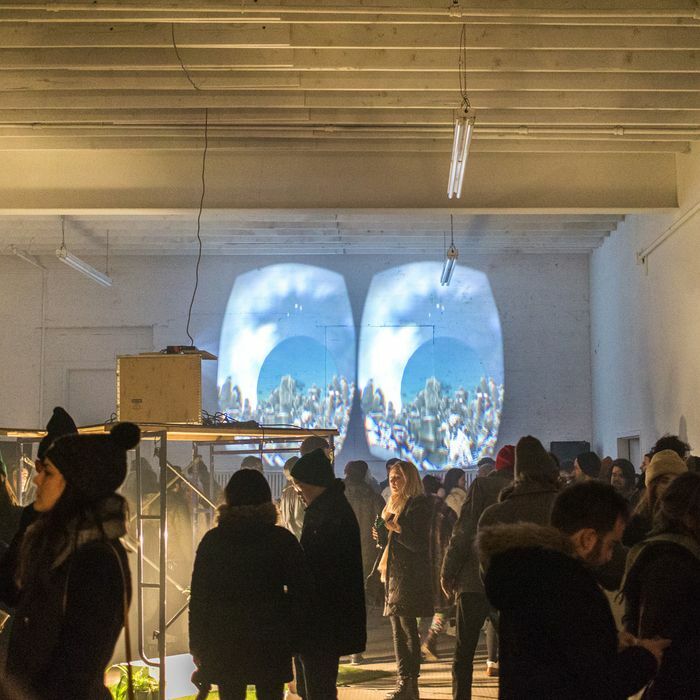 By 2014, Bushwick Open Studios had become a marquee event, but the foot traffic that saturated the neighborhood with a reverse bridge-and-tunnel crowd of rubberneckers didn’t necessarily correlate to actual sales. “It’s one of those things that’s like, you get a lot of people who are interested in checking out ‘Bushwick art,’ which actually just means our toilet gets clogged and a lot of people are asking where the nearest sorbet place is,” Jacques says. Signal’s first shows were all large-scale installations by young artists who hadn’t shown much before. Their program quickly became driven by site-specific works, like Anna K. Miller’s Folds, 600 yards of white cheesecloth tethered to each of the gallery’s ceiling beams and threaded through the space to create an alternatingly translucent and opaque labyrinth. “It was beautiful,” Jacques says, “but we didn’t understand even how that could be sold or that an institution could want it.” Their willingness to stage conceptually (and often physically) heavy works, which often made use of things like floating staircases to nowhere and airplane evacuation slides, made Signal something like the Tate Modern’s Turbine Hall of Bushwick. Often they went beyond just exhibiting work, helping to fabricate ambitious pieces, like Tim Bruniges’s Mirrors, which showed at the gallery in 2014. 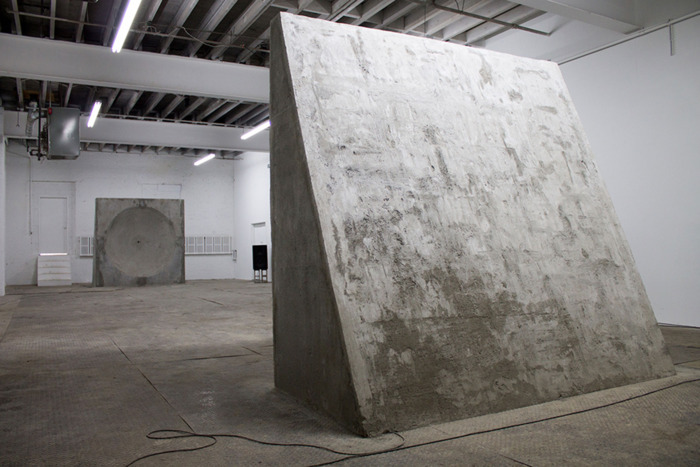 Consisting of two nine-by-nine-foot carved, concave concrete slabs that resembled Celtic monoliths or Easter Island heads, they were fitted with microphones and positioned at opposite ends of the space so that they functioned as sound mirrors, bouncing ambient sounds across the gulf of the gallery and looping them in cycles over the course of the show. Signal, which never carried a formal roster, championed many of these artists before they were well-known. 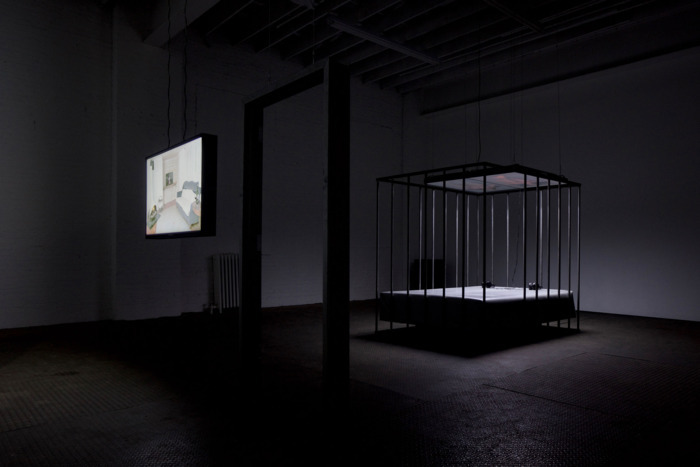 They mounted early exhibitions by Meriem Bennani, whose solo debut at Signal (which featured sculptures made with industrial sand supplied by the guys across the street) was followed up by a solo show at MoMA PS1 a year later; Rachel Rossin, who’s shown her virtual-reality work at the Cleveland Institute of Art and the Carnegie Museum; Hayden Dunham, who went on to have a solo show at Red Bull Arts; and FlucT (the collective made up of Sigrid Lauren and Monica Mirabile) and Ivana Bašić, both of whose work has been acquired by the Whitney Museum. 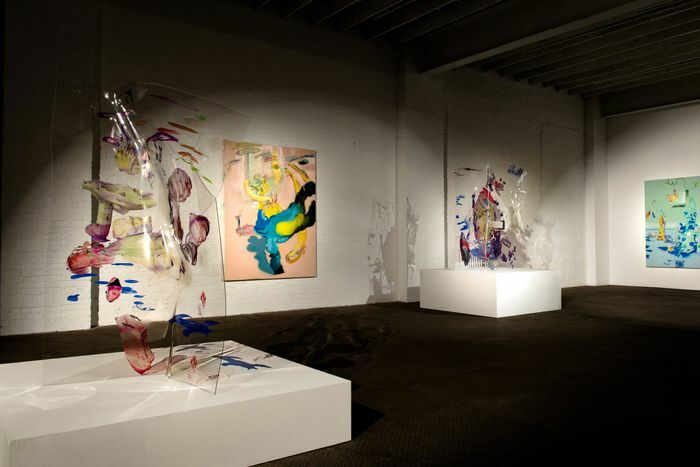 Is the Golden Age of the Bushwick Art Scene Over?